SUNSET HILLS • A woman who worked at a pediatric dental practice fraudulently sent refunds to credit cards she owned, stealing a total of $25,473.97, according to a charge filed Friday. Sandra Howell, 49, stole the money between Jan. 1, 2017, and Tuesday from Pediatric Dentistry of Sunset Hills on Sunset Office Drive. Howell has now been charged in St. Louis County Circuit Court with one count of stealing $25,000 or more. According to court documents, she confessed to her employer and then to police, admitting to fraudulently crediting the refunds to four credit cards belonging to her. She said she stole the money to pay medical bills. Howell also admitted to attempting to alter records in the practice’s computer system after the fraud was discovered. Howell’s bail was set at $25,000. MARSHALL, Mo.– A warrant has been issued for a Marshall resident who is charged with 134 felony charges. Anne Marie Coke, 36, is charged with 134 Class D Felony charges of fraudulently attempting to obtain a controlled substance. A probable cause statement indicates Coke stole a prescription pad from her uncle, a local dentist, and was forging prescriptions for pain medication. The statement lists 13 individuals who filled prescriptions for Coke, between March 2014 and February 2016, each time obtaining 20-30 pills of Oxycodone. A bond has been set for Coke at $50,000 cash or surety with court dates pending. A Marshall couple faces charges for 37 counts of fraudulently attempting to obtain a controlled substance, a class D felony.Stuart Randall Gossett, 31, and his wife Natalie Diane, 29, stand accused of fraudulently obtaining prescriptions for oxycodone at multiple pharmacies in Marshall using forged prescriptions from the dental office of Paul V. Thompson, DDS. Stuart was charged with 21 counts while Natalie was charged with 16. According to the probable cause statement in the case, 37 prescriptions were filled by the couple over a period of more than one year from January 2015 to February 2016 that were not filed in the patients dental records. If convicted, the Gossetts could face, per offense, up to 4 years with the Department of Corrections, or up to one year in county jail and / or up to a $5,000 fine. According to the statement, the Gossetts received the forged prescriptions primarily from Anne Thompson-Coke, who worked in Thompson’s dental office. Coke was arrested Feb. 24 under suspicion of fraudulent attempt to obtain a controlled substance, distribution of a controlled substance, possession of a controlled substance, forgery and fraudulent insurance act. In the statement, Thompson reportedly told police Coke had stolen a prescription pad or pads from him nearly a decade ago and used it to forge his name for prescriptions to her friends at the time, for which she was dismissed. However, he later rehired her, believing she had learned her lesson, the report states. Also included in the probable cause statement are reports from six other individuals, all admitting to filling prescriptions for oxycodone or percocets received from Coke and later giving her portions of the prescriptions. Each of their accounts occurred between October 2015 and February 2016. Meanwhile, Smile Zone’s bank — Springfield, Mo. -based Great Southern Bank — maintains it is not responsible for the loss, according to Hudkins, although he said the bank is still trying to reverse some of the transfers. I spoke briefly with a representative of Great Southern on Monday, but received the standard “we don’t discuss our customers activities” reply. Businesses do not enjoy the same protections afforded to consumers hit by online fraud. With credit cards, consumer liability is generally capped at $50. Consumers who report suspicious or unauthorized transactions on their ATM or debit card, or against their online banking account within two days of receiving their bank statement that reflects the fraud also are limited to $50 in losses. But waiting longer than that can costs consumers up to $500 (the liability is unlimited if a consumer waits more than 60 days to report the fraud). Businesses have no such protection from fraudulent transfers. Generally speaking, banks will work with commercial customers to try and reverse any fraudulent transfers, but the chances of that succeeding diminish rapidly after the first 24 hours following unauthorized activity. What’s more, banks are under no obligation to reimburse commercial customers victimized by this type of online banking fraud. Hudkins said Great Southern required only that customers provide the proper user name and password to access their accounts online and to move money. The bank does require customers to correctly answer one or challenge questions if it detects a customer is logging in from an unfamiliar Internet address. Still, Hudkins said his bank told him the transfers were made using the company’s regular Internet connection. Smile Zone is still investigating how the thieves compromised the account. But in case after case I’ve reported on involving this type of fraud, the attackers hacked the victim’s computer networks using a Trojan horse program known as Zeus or Zbot, which allows the criminals to tunnel back through the victim’s PC in order to log into the target account without raising red flags or additional security mechanisms. Hudkins said that a few days after the unauthorized transfers, Great Southern sent him a security token to complement the bank’s existing customer-facing online security mechanisms (user name + password + occasional security question). “They just sent me a security token in the mail last Friday, and suggested I use that,” Hudkins said. Unfortunately, the thieves that hit the Smile Zone have had little trouble defeating security tokens as well, as I have documented in several recent victim cases. Due to the liability exposure that businesses face when banking online, I’ve long urged business owners to build and use a dedicated system strictly for online banking and nothing else — no Web browsing, checking e-mail, nothing. An alternative — and far more secure — approach is to use a Live CD (or a Mac) when banking online. CLAYTON • A receptionist at a Clayton dental office has been accused of stealing more than $8,000 from her employer and getting painkillers using a phony prescription, authorities say. Nicole A. Miller, 36, of St. Charles, was charged Friday with felony stealing and fraudulently attempting to obtain a controlled substance. Bail was set at $15,000. Clayton police say Miller worked as a receptionist at Viva Smiles, a dental office in Clayton. According to court records, her employers discovered that she had stolen more than $8,000 from the business by using the office’s credit card machine to make fraudulent refund payments onto her personal debit cards. She confessed to her employer but made no statement to police when she was arrested, police say. In addition, Miller is accused of filling three prescriptions for hydrocodone at a pharmacy in Ladue. The issuing doctor listed on the prescription was her boss, but that doctor told police she never prescribed any medication for Miller. Miller’s job responsibilities included calling in prescriptions for patients, and she knew the doctor’s DEA number, police say. A DEA number allows doctors to write prescriptions for controlled substances. Court records allege she stole the money between Sept. 9 and March 6 and that she got the prescriptions between Oct. 16 and Jan. 2. A Nixa woman accused of stealing more than $25,000 from her former employer over a two-year period was bound over to Christian County Circuit Court May 21 and scheduled for a June 6 arraignment. Sandra J. Martin, 42, will appear in front of Judge Mark Orr on one count of a class B felony for stealing from her dentist employer. 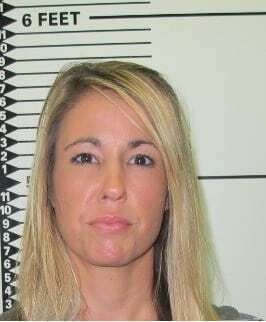 She was originally slated for a bench trial May 21 in Christian County Associate Court, but instead waived her preliminary hearing and was bound over to circuit court. Martin was arrested Dec. 19, 2007, after her employer, Nixa dentist Michael Butterfield, DDS, discovered a declined charge on an office credit charge that had a $50,000 credit line, according to court documents. The probable cause statement filed with Cleek’s complaint said Martin had also written more than $25,000 in checks from two different bank accounts belonging to Butterfield. If convicted, Martin could receive five to 15 years in prison. A Chesterfield, Mo., woman has been sentenced to prison for embezzlement from a dental office and tax evasion. Carol Strope, 55, was sentenced to five months in prison, which may be in a work release setting, followed by five months of home confinement. In addition, she must pay $50,000 in restitution to the dentist and file new tax returns for the years that she understated her income. Strope pleaded guilty last December to one felony count of tax evasion, one felony count of mail fraud and one felony count of credit card fraud. When employed as an office manager for a St. Louis County dentist, she began embezzling money from the business using the company accounts to pay for personal expenditures. She was alleged to have embezzled $193,000 from the dental business. Surrounded by family and friends, a Houston woman was sentenced Tuesday to 18 months in federal prison on charges that she embezzled from her elderly father. Shirley A. Scheets, 50, was ordered to prison by Aug. 3 after U.S. District Judge Richard E. Dorr heard testimony during a sentencing hearing in U.S. District Court in downtown Springfield. The prison time is followed by three years of supervised probation, and Scheets also must immediately make restitution to her father, Dr. Glen Schuster, who testified against her from a wheelchair and described himself as financially broke, urging the judge to mandate a long prison term and restitution to him. His daughter, Lea, sat nearby. In lieu of a timely payment, Scheets may make installments under a formula outlined by Dorr, who said the sentence was dictated by a guilty plea entered earlier by Scheets. Despite pleas for leniency, Dorr said probation was inconsistent with the magnitude of the crime, he wouldn’t be swayed by the emotions of the testimony about Scheets’ character and must follow the facts in the case. “It’s as though we’re dealing with two different people,” Dorr said after hearing several pleas for probation. Scheets’ attorney, Scott McBride of Rolla, can appeal. About 75 friends and family gathered in a small third-floor courtroom in support of Scheets, who served as her father’s office manager at his South Sam Houston Blvd. dental practice and assisted him on a horse and dog breeding operation east of Houston. About 85 letters of support were reviewed by the judge, who noted the outpouring of support was exceptional in his career. 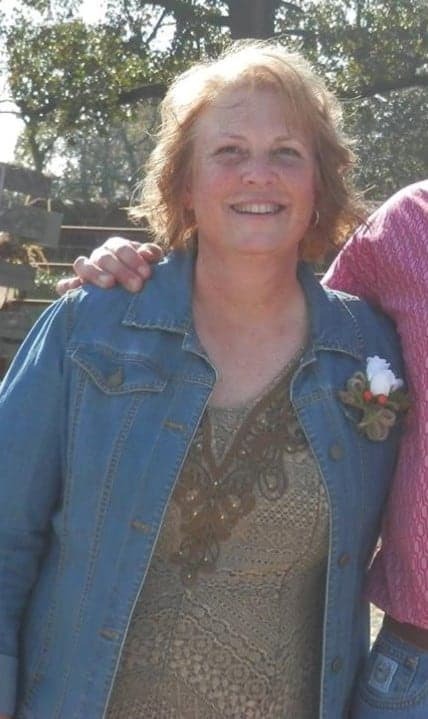 Friends and acquaintances said Scheets was a faithful, loving daughter who returned to her native Houston to help her father after he lost his office manager and needed assistance on the family farm. They noted she was eager to always help others. Dr. B.C. Taylor, a Houston veterinarian, said he found Scheets active in the care of the animals when he arrived for calls. A family friend and former Schuster employee, Bob Richards, said the dentist’s daughter was always busy on the farm, performing chores. “My personal feeling is that this shouldn’t have ever occurred,” Richards said of the charges brought in the April 2009 indictment by a grand jury. Julius Fraley, a longtime neighbor to Schuster, said Scheets was actively involved in the management of the farm and readily helped him. A high school classmate, Becky Bryan of Rolla, described how her friend returned to Houston to help her dad, telling her, “Daddy needs me.” Bryan said the statement was typical of her friend. “Shirley is the cream of crop,” she told the judge. Assistant U.S. Attorney Robyn McKee said she didn’t doubt the sincerity of those seeking probation for Scheets, but the facts in the case files painted a different picture. *Cashing $31,119 in CDs without the authorization of her father. *Making $25,407 in credit card payments from her father’s business accounts without his authorization for charges she incurred. *Taking $43,213 in Schuster’s Social Security checks without his authorization. *Drawing out $25,056 on the victim’s accounts without his permission. Dorr noted the agreed upon loss reflected about $100,000 less than what was determined by investigators. Scheets also admitted that she concealed from her father the fact that she did not file income tax returns or pay Dr. Schuster’s income or personal property taxes from about 1997 to 2007. She admitted representing to her father that his tax returns and income and personal property taxes were being filed and paid in a timely manner. She also shielded Dr. Schuster from “learning the true nature and amount of the accumulated tax liability,” according to her agreement with the U.S. attorney’s office. A pre-sentence investigation report also shows Scheets was convicted with employee theft, a misdemeanor, in 1984 in Reno, Nev., McKee said. Scheets told the judge she was sorry for her actions. She said she worked hard to juggle the demands of the dental practice and farm to provide her father with a sense of self worth, but cash from the business wasn’t enough to cover his expenses. Scheets told the judge she regretted not telling her father about his IRS tax shortfalls and for the resulting turmoil occurring in her family. “It has split the family wide open,” she said. Scheets no longer has any relationship with her father, and she told the judge Tuesday it would likely be the last time she would ever see him. McKee, the federal prosecutor, said the Scheets’ claims of juggling financial accounts to keep Schuster’s affairs afloat didn’t add up, noting that his Social Security checks were cashed and not deposited into the proper account. The actions, McKee alleged, had left Schuster as “a virtual pauper” without insurance after his policies lapsed. Amid sobs in the courtroom, McKee said those gathered weren’t aware of the magnitude of the financial crime. Scheets also must face a county civil suit on credit card debt seeking about $5,100. The U.S. Bureau of Prisons will assign Scheets’ incarceration venue. McBride asked that the location be a state close to her home. PREVIOUSLY: A Houston woman who admitted stealing about $125,000 from her father was sentenced to 18 months in federal prison Tuesday afternoon. 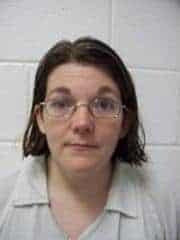 Shirley Ann Scheets received the sentence in U.S. District Court in Springfield. She also was ordered to serve three years of supervised probation and must pay $124,795 in restitution to her father, Dr. Glen Schuster, a retired dentist. Scheets must report to prison Aug. 3. She has the right to appeal. Several Houston residents testified on Scheets’ behalf, and about 85 sent letters to the judge. Schuster testified against his daughter from a wheelchair. Another relative also testified against Scheets. Sobs were heard throughout the courtroom as Scheets received her sentence. PREVIOUSLY: A Houston woman admitted stealing about $125,000 from her father and not filing his tax returns over a 10-year period in a court document entered Wednesday in U.S. District Court. *Cashing $31,119 in CDs without the authorization of her father, Dr. Glen Schuster, a retired dentist. The agreed upon loss triggers an increase in her possible sentence under federal guidelines. She reserved her right to challenge the assessment during her sentencing hearing. Scheets also admitted that she concealed from her father the fact that she did not file income tax returns or pay Dr. Schuster’s income or personal property taxes from about 1997 to 2007. She admitted representing to her father that his tax returns and income and personal property taxes were being filed and paid in a timely manner. She also shielded Dr. Schuster from “learning the true nature and amount of the accumulated tax liability,” according to her agreement with the U.S. attorney’s office. Schuster entered a guilty plea in February to taking the $31,000. She was originally indicted by a federal grand jury in April 2009.